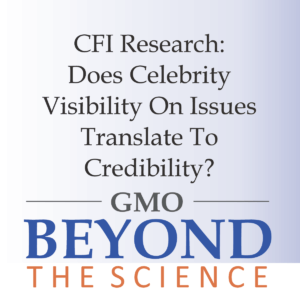 CFI Research: Does Celebrity Visibility On Issues Translate To Credibility? 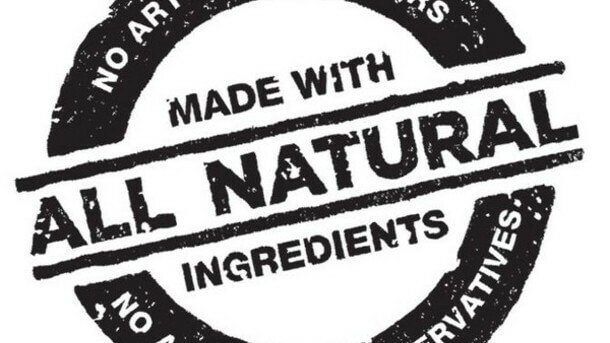 The Center for Food Safety is throwing its political weight behind an attempt to discourage the federal government from issuing a clarifying opinion as to what is “natural.” What’s the story behind this legal maneuver? The fight over the natural label has become a focal point for anti-GMO activists trying to stigmatize foods made with genetically modified ingredients. Foods with the ‘natural’ label raked in more than $40 billion in retail sales in the United States over the past 12 months. Many foods with the natural label contain GMOs. Currently, the Food and Drug Administration does not officially define ‘natural’ with regards to foods that contain genetically modified ingredients. Taking guidance from staff scientists, it considers them ‘materially equivalent’ to foods without GMOs, so no unique designation is considered necessary. Tort lawyers and consumer groups, spearheaded by CFS, have been attempting to influence labeling laws by other means, namely class action lawsuits or petitions. The legal tactic has been working. Although the natural label as used remains legal, some companies facing expensive legal actions and negative publicity have quietly started dropping the word from the labels and marketing promotions of key products. As the Wall Street Journal reports, “Natural” Goldfish crackers made by Pepperidge Farms will soon be just Goldfish. “All Natural” Naked juice is going stark Naked. “All Natural” Puffins cereal made by Barbara’s Bakery is turning into plain old Puffins. But the legal playing field remains unsettled, with other companies reluctant to buckle to tort lawyer pressure tactics. So why would the Washington-based lobby and consumer group oppose clarification of the “natural” label by the FDA? Courts around the country have been slammed with labeling lawsuits, although none has gone to trial. Some district judges have thrown out these cases, citing the FDA’s lack of definition for the word ‘natural,’ while others have called on the FDA directly to come up with a precise definition. Last summer, a California District judge hearing a CFS-backed class action suit against Mission Tortilla chips, which uses GMO corn, requested that the FDA definitively define for the word natural. After hearing complaints from industry lawyers that the CFS and other plaintiffs are attempting to use the courts to circumvent prevailing FDA law and impose tort-based labeling laws, Judge Yvonne Gonzalez Rogers concluded, “deference to the FDA’s regulatory authority is the appropriate course” to resolve this dispute. This legal recommendation did not sit well with the Center for Food Safety, which is fearful that the FDA will reaffirm its prior finding, in effect ending the consumer groups ability to exploit the current ambiguity and tort litigation bonanza.